African drumming lesson: Rhythm is easy to pick up but hard to master! Whole class African drumming lesson. Play and perform in solo and ensemble contexts. Develop accuracy, fluency, control and expression. African drumming will enable students to develop musical individuality, personality and conﬁdence. This course focuses on developing rhythmic skill and a greater awareness of the music of other cultures. 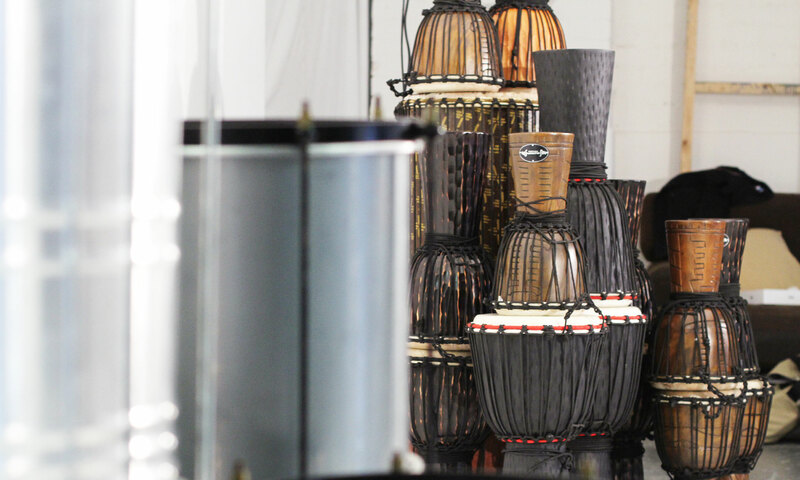 Each African drumming lessons provides the opportunity to improvise and compose. Students will develop a keen sense of time, polyphonic rhythm and musical structure. Drumming lessons provide an intuitive way to learn detailed rhythms and build aural memory.